I had a wobble in the steering wheel at 55 mph. I replaced the king pins and all is well now. When I had a tire come apart and bust a fitting, I took the hose to O’Reilly auto parts and they made the hose while I waited. It was around $60 I believe. I double tow and am very long. I go from Sacramento down to Arizona annually. I don’t go through scales as my Kenworth is registered as a RV. I get passed by a lot of officers and I pass a lot sitting in the median. No problems yet. If I get a ticket, I will consider it a housing expense as I am a full timer. I have a theory that may be true or wrong. The commercial officers don’t want to mess with us RV’s as there is no money it. This is especially true in those states that need the revenue. The non co recital officers don’t want to stop us because they are not familiar with the commercial laws and don’t know what to do with us. I wa stopped once between Plainview and Lubbock in my home state. His first question was who do you drive for. 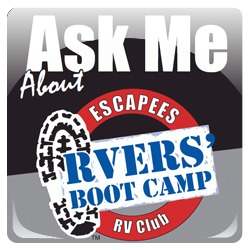 I brought my book to his suv and showed him my documents that proved I was a Rv and I owned it all. It helped that all three vehicles have the same license plate. He gave me a warning for the rv registration being expired and told me to tell any one else who stopped me that I had received a warning and was on my way to renew the registration. Very pleasant stop over all. In Florida you should be able to get weighed in Bushnell at the SKP Park there. 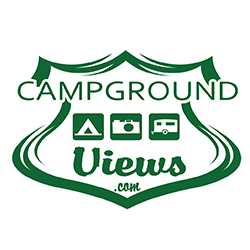 I have met many full timers over the years (45) I have been rving, but I have never had a conversation with a full timer that had that attitude. Send them a copy of your bill and a bill for an hours worth of work from an attorney to high light where in the contract it states that the TV is covered. Not just covered when towing the 5th wheel. I agree with most that it all depends on where and when. I always try to book, 4th of July, Labor and Memorial Day anywhere ahead of time Thanksgiving and Christmas can be tough down south in warm weather destinations. If you want to guarantee a spot everywhere you go, then book ahead or be able to boondock during those days. Possibly, but those that stay at Fishing Bridge want hookups so they'll probably stay outside the park to get them. Yep, all they can do is say no, which loses nothing other than time. Sorry Derek, I somehow had 2 tabs open for this thread, I was editing one in tab while you replied on the other, my bad. I agree with you, spend $35 for a magnet when the entire backing plate assy is $90 is a no-brainer for me too. Part time. Some years 6 months on the road, others 8. Have wanted to sell the house, but Joan wanted a place for the holidays. Then we had a health issue hit us. Still waiting, but surgery on the horizon and then some rehab before we can hit the road again. Nice to have a fall back for a place more assessable. Once this is behind us, we’re back on the road. I expect we will downsize though keeping a “just in case place”. The break-away system grounds through the trailer onboard wiring. Poor/inadequate brake wiring is by far the most common cause of poor braking. Many trailer mfgrs IMO use too-small wire gauge and inadequate connectors. Keep in mind over 80% of all 12V issues are the result of a poor/missing ground. Rather than duplicate, I refer you to this website for proper wiring and wire size. All the above assumes your magnets are in good working order, if they are worn beyond limits, or fail electrical testing, replace them before digging into brake wiring. 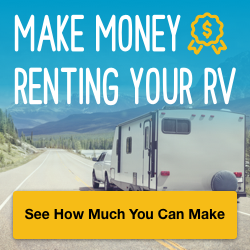 There is a thread on irv2.com from a couple who put their MH with a rental company. They explain in detail why that was a bad decision. 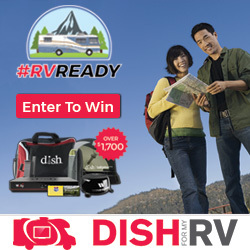 Question, would you lend your MH to a neighbor who has never been in any type RV before if they asked? If your answer is no, you just answered your own question. Fishing bridge FHU cg in Yellowstone is closed this year for upgrades, this will make finding a Yellowstone RV site difficult. 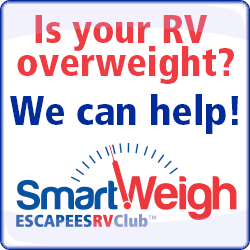 The Escapees RV Club HQ in Livingston, TX used to have the SmartWeigh service available. You might give them a call if you'll be anywhere close (888-757-2582). First hand account. I was stopped in the Upper Peninsula of Michigan. We were not cited but did have to disconnect the toad as we were 83' long. Michigan does allow double towing but the length limit at the time was 70'. Double towing is an option for the state your are in not your registration state. Likewise, overall length is a function of the state you are in, not your registration state. For the record we double towed for 10 years and that was the only time stopped. We were only 65' without the toad and that is the RV limit in most states. So dropping the toad was always a simple option for us. I used a hitch off a '84 Chevy 3/4 ton truck that I junked. It is a heavy duty hitch rated at 1600 lbs tongue weight/15,000 lbs towing. The side plates were bolted to the cross bar. Those came off and were given to RandyA. I cut some 1/2 inch plate to replace it with enough drop to make the hitch a reasonable height. As I remember, it had to be made narrower so it all got welded instead of reusing the bolt-on setup. The receiver sits on a 2 x 4 thick walled rectangular tube cross-member for additional support. Are you going to be at the ECR? If so, check out Steve Dixon's rig. He a "bumper pull". I had one custom done for $800.00 and some change. Lights and 7 pin were already set up. Also, consider a Gen Y hitch, or some equivalent, for a tow behind due to the relatively light pin weights. DirecTV account "action required "
We have the old system, both coasts, DNS. I personally thought maybe since the AT&T takeover and folks calling the FCC filing complaints, Direct figured maybe they better get their house in order in case of an audit or if the Feds started nosing around. We very rarely even have contact with them. I believe the last time was 3 years ago when our box went belly up in Island Park, ID. We have East and West coast and haven't received the notice.